Pharmaceutical company GlaxoSmithKline in partnership with ABS-CBN Foundation, Healthway Medical, Cervical Cancer Association of the Philippines (CECAP), BayaniJuan, Bravehearts Coalition of the Philippines, Society of Gynecologic Oncology of the Philippines (SGOP), Philippine Obstetrical and Gynecological Society of the Philippines (POGS) and Philippine Society Asia Oceana Research Institute for Gynecological Infection and Neoplasia (AOGIN) launched a new campaign to encourage more Filipinas to protect themselves against cervical cancer last September 24th at Relish Cafe in Quezon City. Next to breast cancer, cervical cancer is the second most common cancer that afflicts the women in the country, where an estimated 4,800 Filipinas across ages and denominations are diagnosed each year. Moreover, 12 Filipino women die from cervical cancer daily according to the statistics of Philippine Cancer Facts and Estimates 2005. For every 4 survivors of breast cancer, there are less than 3 women who survive cervical cancer. This advocacy called “X Means Love” aims to cross out cervical cancer as a health threat by reaching out to local women and their families to take preventive measures against the disease. 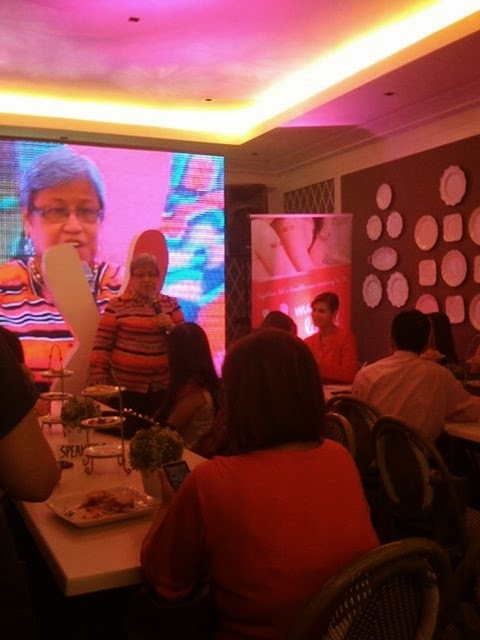 Influential women like Abby Arenas-de Leon, Janine Desiderio, and more talked about their loved ones’ fight against this virulent disease and the importance of cervical cancer prevention. Janine Desiderio lost her cancer stricken mom when she was just 6 years old. She related how disheartening is it to lose someone in your family to the silent killer cancer. With information dissemination strategy that cervical cancer is a preventable disease, women can be proactive in its prevention and in saving the lives of women in their families on top of their own. Supermodel and beauty queen Abbygale Arenas-de Leon heads Bravehearts Coalition of the Philippines, a nonprofit organization which continuously pursues a cervical cancer-free Philippines by for the past five years. They are often on the road trip sponsoring cervical cancer awareness lectures, and offering vaccinations to Filipinas all over the country. Their testimonies encourage Filipinas of today to take charge of their lives in fighting this second killer cancer among women. By advocating cervical awareness and women empowerment, the number of cervical cancer incidences is expected to go down drastically by 94% as cervical cancer can be prevented through medical consultation, screening and vaccination. Getting the female population vaccinated as early as the age of 9 will makes Filipinas safe from the reported worldwide annual mortality of 270,000 (cited in Bosch FX and Sanjose S., J national Cancer Institute Monogr 2003: 31: 3-31). Each advocate shared what the advocacy means to them. Carmie de Leon, VP for Sales and Marketing of Healthway Medical, relates, "X means a thing of the past. It is done. No more fear for us women." Dr. Christine Dizon shared that "X means loving everybody and preventing cancer." 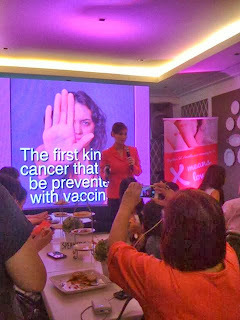 This partnership with GlaxoSmithKline is expected to help disseminate the importance of the vaccine against Cervical Cancer in the Philippines. 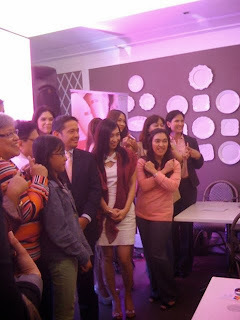 The program ended with the symbolic X on the arms of the advocates, looking forward to the day when Filipinas will live their lives to the fullest, totally eradicating cervical cancer incidences in the country.